Having heard about volunteer work, many people get surprised, “How can people do it?” But volunteers themselves do not understand how one can live without it. We will try to answer. You do need a blessing. However, it does not mean that the blessing itself creates a desire for a mission. Actually, a blessing is not a legal permission to do something in the Orthodox understanding. 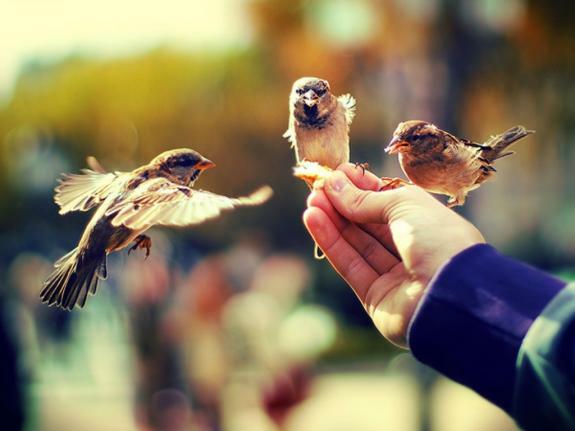 A blessing means granting heavenly help to a person in their work that is extremely dear to their hearts. Thus, a blessing itself will not create a good artist, musician, poet, but will grant him or her heavenly and beneficial help. As Christ said, “For out of the abundance of the heart the mouth speaks”, it is crucial in missionary work. If there is such abundance, if a person touched the Heaven just a little bit, then he or she will pass it to their listeners. When young people asked Metropolitan Anthony of Sourozh for a blessing to become priests, he said, “You can become a priest, if you feel that you can speak about God in such a way, that no one before you had spoken”. The grace of God helps each of us reveal the depth of our souls in some unique way that is most characteristic for each person in particular. If it happens to a missionary, then he or she will surely bring light to other people. It is also important to understand that each of us is endowed with unique talents, gifts, and features of the image of God. So you can turn all of them to the advantage of others, even if you really have very few opportunities to help. One kind young woman who lived near the Kiev Pechersk Lavra began collecting lists of names to pray for their health and carried them every few weeks to the church for commemoration. Another young woman gave lifts to elderly people to the center of the city, and did not charge them for it. And some other young woman regularly goes through her closet, takes clothes that she no longer needs (everyone has plenty of such), and brings them to refugees or orphans. Some go to boarding schools, some give money to treat the sick there, and others provide transport for such trips. The result is that everyone has their own activity, which they are most willing to do. Therefore, there are so many types of volunteer work. The easiest one is to find a lonely elderly woman in the church and start helping her around the house just once a week. But the joy that God will reward you with will more than pay for the spent hours. Volunteers are surprised to notice that their life according to the faith becomes meaningful. They begin to feel that their days are connected with eternity. After all, on Holy Thursday Christ gave people two great commandments that are inseparable: to receive Holy Communion constantly, and to serve each other with love. Once during a lecture someone asked me, “What should you do when you are afraid to reach out and help people, for you may be hurt by their possible rejection?” But we are not the first to face such a problem. Knowing this, Christ commanded His first volunteers, the Apostles, to go in pairs. And that is because there is no volunteers in the world, who themselves don’t need psychological volunteer help. Indeed, there is not one kind person who could ever live without a friend. It is essential for a person to do good deeds in a kind way. You have to feel what a person really needs and how you can give it to him or her. Only a person who really cares about the other can understand how to do it. It is just like a young man telling his mother that he does not want to live, and she understands that what he really needs is someone who can comfort him and help to overcome some kind of a challenge. Love will find words. It is important to pray for both the person and our actions towards them, so that everything would turn out well. Through prayer God Himself helps the one who is in need. But He always gives us an opportunity to share the joy of those we care about. And this is one of the reasons why He does not help immediately: so that we could creatively intervene in the situation and help the one who is suffering. That is why Saint Gregory the Theologian said that the fact that there are many people who are suffering in the world should not make us grumble at the Creator, but should be a reason for our intervention. Each of us is able to make another person happy, and make them feel they are needed. And this is the greatest thing you can give to another person. We are not responsible for everything that happens on earth. We do not choose the time we come into the world. But we are responsible for what we do with our lives. By “responsible,” I do not mean the legal norms of crime and punishment, but the fact that each of us came to earth to multiply beauty here. And each of us has the power to do it. Sometimes even one cup of tea, poured with friendly feelings, gets another person out of depression, because he or she begins to notice that they are needed for the first time. The unnamed authors of the “Elder Edda” were surprised that, “with half a loaf and an empty cup I found myself a friend”. It would be wrong to think that we have to do only great deeds. A wife can remember all her life when her husband made sandwiches and bought her aspirin when she needed. And a husband remembers a few kind words said by his wife when things at work were not going well. It is in our power to bring light or darkness into the lives of others. And if one brings light, then such actions, even small ones, are already united with eternity and never die. For example, after almost two thousand years we still remember that the Roman Emperor Trajan stood up for the unfortunate widow, and we do not forget the care of Chekhov and Einstein for the poor and the lonely. When a person loves another, he or she considers the other person’s joy more important than his or her own. This is true love. Actually, this is the difference between love and infatuation. Infatuation, like love, wants to always be with the loved one. But love, in addition, agrees to endure hardship in order to bring light in the life of the loved ones, like Frodo from “The Lord of the Rings” agrees to carry the terrible ring. This task exceeds his strength, skills, and talents. But he does the deed because he feels that it is the only right thing to do. He says, “I’ll take the ring, though I don’t know if I get to Mordor.” And this is his love, because love always manifests itself in a deed and self-denial. Christ always has a lot of joy in store for us, but He keeps this treasure until we are ready, that is, until we become kind. It is because an evil or indifferent person will not be able to appreciate the gift. If a person wants to do something, he or she will always find time for it. If a person does their deeds for the sake of God and close people, while praying, then any of their deeds is blessed. People really change the world with their lives: either desecrate or sanctify it. Lena, a kind Orthodox young woman, was cooking soup while being very angry at her husband, and her soup went sour very quickly. Another time she was cooking soup with prayer and love for her husband, and her husband remembered what a delicious soup it was that day for several months. When her husband, her fiancé at the time, gave her flowers, they did not die away for an unnaturally long time, because his love for her really affected them. Such examples suggest that each of us can multiply kindness on earth, doing it as extraordinarily, creatively and uniquely as the life of any kind person is unique. Indeed, all kind people are kind in their own way, although they are all equally happy.